WVU Tech has raised $ 107,284 from 63 gifts! WVU Tech has rich history of training capable scientists, engineers, business leaders and healthcare professionals. With more than 120 years of experience, we’re continuing that tradition in our new home in Beckley, West Virginia. We serve more than 1,700 students, and we’re growing. We need your help so that we can continue to grow. We’re updating and creating new laboratories for our science and engineering students to tackle the needs of the nation’s industry and infrastructure. We’re launching new programs that will train students in modern business and entrepreneurship. We’re entering into partnerships and updating our resources for teaching nurses, psychologists and healthcare administrators how to heal our communities. We believe these efforts will help carry the region out of uncertainty and into a future where people know their worth and aren’t afraid to take on new economic and social challenges. We’re a public institution and part of the WVU System and its land-grant mission to help the people of the mountain state. State budget cuts to higher education have left us with less funding to rely on each year. That makes financial gifts from our supporters even more important and impactful. These are the areas where WVU Tech can use your financial help. 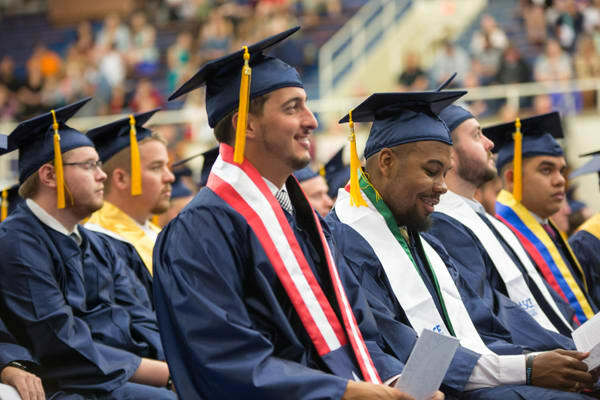 No matter what you give, we know that your support will go a long way toward helping our students and toward helping us realize our vision for WVU Tech as a beacon of educational and economic prosperity in Southern West Virginia. The President’s Office Fund addresses WVU Tech’s areas of greatest need. When we need to update lab equipment, renovate student spaces, fund campus initiatives, fill in scholarship gaps, or provide students with assistance during family emergencies, this is where we turn. The General Scholarship Fund helps us fill in financial gaps for students who show great academic promise and financial need. It allows these bright students a chance to focus more on learning new skills and less on paying for them. See what people are sharing about WVU Day of Giving 2018! Pat and Alison Deem will generously match donations made to general scholarship funds on the Day of Giving up to a total of $25,000. Help us meet this match by making a donation to the scholarship fund that means the most to you today! Donations made to any “Greatest Needs” fund on the Day of Giving will be matched dollar for dollar up to a total of $25,000 by Frank and Jayna Alderman. Help us meet this match by making a donation to your favorite WVU school, college or department’s Greatest Needs Fund today! Donations made to any “Greatest Needs” fund on the Day of Giving will be matched dollar for dollar up to a total of $25,000. Help us meet this match by making a donation to your favorite WVU school, college or department’s Greatest Needs Fund today! The first $10,000 raised on Day of Giving for WVU Tech will unlock an additional $50,000 for WVU Tech from L&S Toyota and the Ball Family. The first 25 WVU Tech employees to donate will unlock a gift of $1,000 from an anonymous donor.